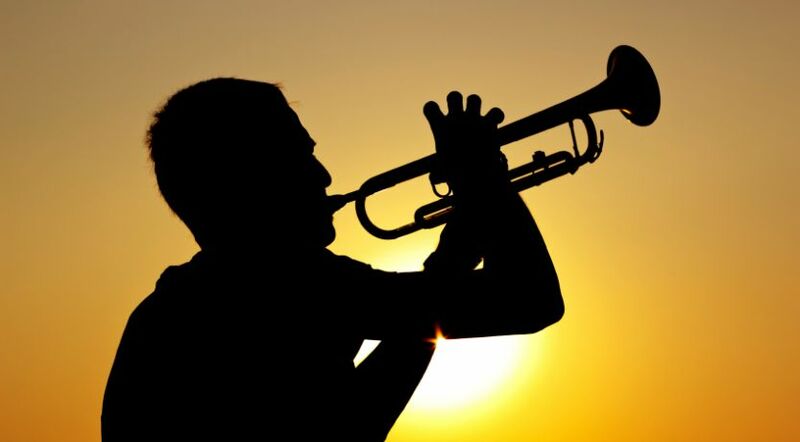 Trumpets are used as signals of important events, and the Bible describes earthshaking end-time events that are pictured by the Feast of Trumpets. The first three festivals, Passover, the Feast of Unleavened Bread and Pentecost, reenact events that have already taken place and are ongoing in the lives of Christians. The last four festivals listed in Leviticus 23 preview dramatic future events in God’s plan of salvation. All four festivals occur during the fall harvest season in the Holy Land. The fall festivals begin with the Feast of Trumpets. Trumpets are used as signals of important events, and the Bible describes earthshaking end-time events that are pictured by this festival. The book of Revelation lists seven terrible plagues announced by seven trumpets (Revelation 8-11). These plagues will come in the times just ahead of us because of humanity’s sins. Consider the sixth trumpet and its announcement of a 200-million-man army preparing for a battle that will kill a third of humanity (Revelation 9:16-18). In spite of these punishments, human leaders and their subjects will continue to pursue selfish and ungodly goals and sins (Revelation 9:20-21). Thankfully, the seventh trumpet also heralds good news: “Then the seventh angel sounded: And there were loud voices in heaven, saying, ‘The kingdoms of this world have become the kingdoms of our Lord and of His Christ, and He shall reign forever and ever!’” (Revelation 11:15). Finally Jesus Christ will intervene in world affairs to stop humanity from self-destruction (Matthew 24:21-22). He will then begin to establish His long-promised utopian Kingdom of God. “Behold, I tell you a mystery: We shall not all sleep, but we shall all be changed—in a moment, in the twinkling of an eye, at the last trumpet. For the trumpet will sound, and the dead will be raised incorruptible, and we shall be changed” (1 Corinthians 15:51-52). Paul also made clear that this would occur when Jesus Christ was returning (1 Thessalonians 4:16). The Feast of Trumpets focuses on these pivotal events that signal the end of human rule and the establishment of God’s wonderful Kingdom on earth. Zechariah 14 and Revelation 19 recount the final battle when the evil end-time “beast” and other world leaders try to fight the returning Christ. They will prove no match to our all-powerful Messiah, and the stage will be set for the fifth step in God’s plan, pictured by the Day of Atonement. Biblical Festivals: Does God Want Us to Celebrate Them? Why? Festival Meaning: What Are the Meanings of Each of God’s Festivals? Passover: What Did Jesus Do for You?